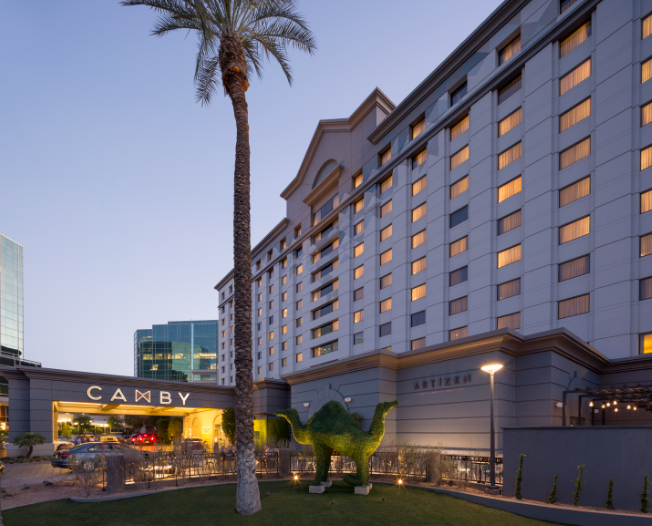 The Camby is supporting the Phoenix music scene in partnership with the Musical Instrument Museum (MIM) and offering a luxurious stay package to celebrate. A collection of harmonicas and two accordions from MIM can now be seen along the walls of The Bees Knees cocktail lounge, making it one of the first destinations where MIM’s instruments are on display outside of the museum. Guests and locals alike are invited to enjoy live music and even jump onstage themselves to sing or play their own instruments at The Camby’s weekly Jam Session, which takes place every Tuesday from 7:30 p.m. to 11 p.m. at The Bees Knees. Nosh on small plates, like House Sweet & Spicy Pickles, Ahi Tuna Crudo, and flatbreads, and sip on signature cocktails while you rock the night away. The package begins at $3,499 (plus tax) and requires a two-night minimum stay. Based on availability and black-out dates apply. To book, or for more information, please visit www.thecamby.com. The Camby is located at 2401 E Camelback Road, Phoenix, AZ 85016.